Return to Home > NO PUMP Pre-Workout Boosters>Olimp Endugen - 60 caps. 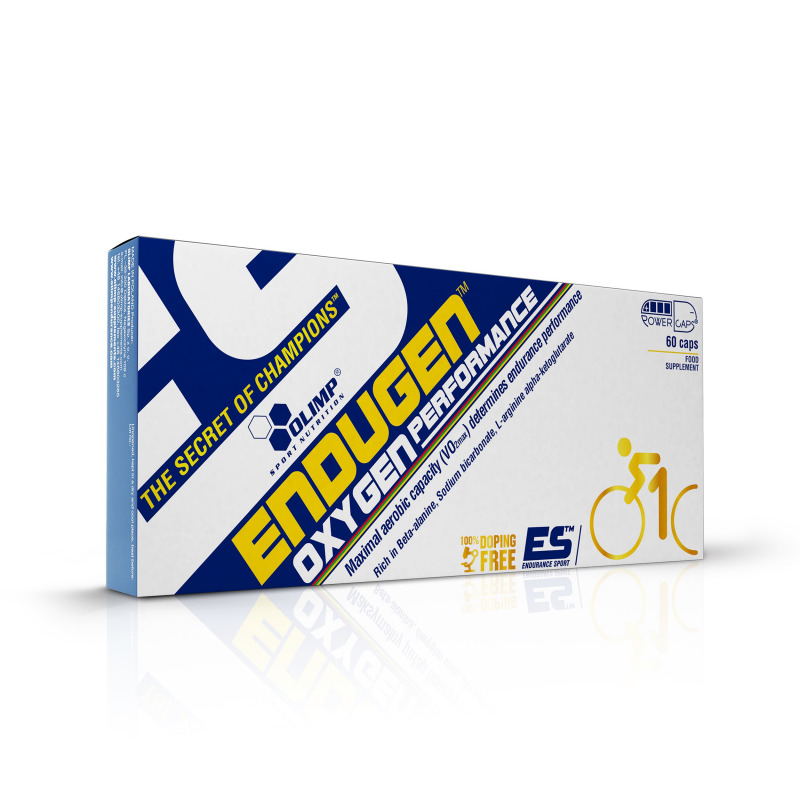 Olimp Endugen - 60 caps. The product contains precisely selected plants extracts i.e. guarana and panax ginseng, enriched with powerful portion of beta-alanine and sodium bicarbonate, which have been used for over the years in many elite products increasing strength and aerobic capacity (VO2max). ENDUGEN™ also includes vitamin-mineral components which contribute to many normal processes in organism, such as magnesium and vitamin B6 that contribute to a reduction of tiredness and fatigue and contribute to normal energy-yielding metabolism. ENDUGEN™ is intended to adult, physically active sportsmen especially endurance athlets and team games players where high physical capacity is needed for the success of the team. This product was created to use before and during the most exhausting sport events, endurance & strength trainings and during intensified exercises (on training camp). Recommended use: depending on the training experience and individual needs take 2 - 4 capsules approximately 30 minutes before physical activity. Keep out of reach of children. Do not exceed the recommended daily dose. Food supplements should not be used as a substitute for a varied and balanced diet. A varied and balanced diet and a healthy lifestyle are recommended. Warning: Contains caffeine (135,2 mg/ 4 capsules). Not recommended for children or pregnant women. The product should not be taken during pregnancy, breast feeding and by patients with heart conditions, hypertension and hypersensitivity to any of the constituents of the preparation. Beta-alanine, sodium bicarbonate, potassium salts of orthophosphoric acid, L-arginine alpha-ketoglutarate, magnesium oxide, taurine, Korean Panax ginseng extract, guarana extract (Paullinia cupana), bulking agents – microcrystalline cellulose; caffeine anhydrous, anti-caking agent – silicon dioxide, magnesium stearate; nicotinamide – niacin, cayenne pepper extract (Capsicum annuum), magnesium bisglycinate (magnesium amino acid chelate Albion®), cyanocobalamin – vit. B12, pyridoxine hydrochloride – vit. B6, riboflavin – vit. B2, capsule (gelatin, colour: E 171). Storage conditions: Keep tightly closed in a cool dry place.